Let us look at some of the most common questions asked on my blog about making self-drive to Ladakh, renting taxis in Leh Ladakh and bike rentals in Ladakh. 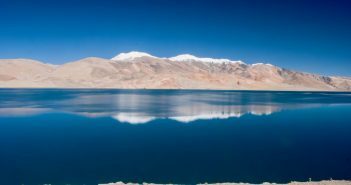 I am starting this five-article series of Leh Ladakh FAQs to answer all your questions about planning a successful trip to Ladakh. It will be easy for me to redirect you to the right question and its answer in these articles instead of repeating the same answers again and again in the comments section of various blog articles on this website. I will also keep updating this Leh Ladakh FAQ series with new questions in case I have missed to answer any and also keep my answers fresh with updated information about preparing for a trip to Ladakh. Q1. Where can I book taxis in Leh? Q2. How to rent or hire a taxi for Leh Ladakh trip? Q3. What is the cost of a taxi for a Leh Ladakh trip? Q4. What is the cheapest way to hire a taxi in Ladakh? Q5. How can I get shared taxis in Ladakh? Q6. Can I take an outside rented taxi to Ladakh? Q7. Can I do sightseeing in Ladakh on an outside rented taxi? Q8. Is Zoomcar or other self-drive rental cars allowed in Leh Ladakh trip? Q9. 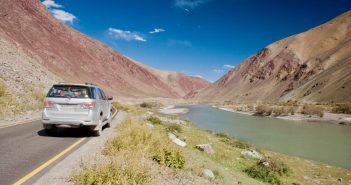 Can I get a self-drive rental car in Leh Ladakh? Q10. Can I get a self-drive rental car in Manali? Q11. Can I get a self-drive rental car in Srinagar? Q12. 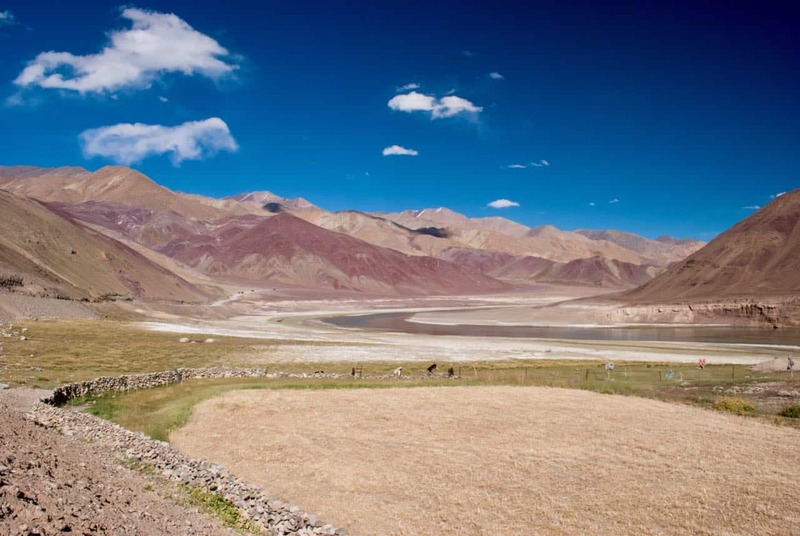 Where can I get a self-drive rental car for a Leh Ladakh trip? Q13. Can I take my own private or personal car to Ladakh? Q14. Can I take someone’s else private or personal car to Ladakh? Q15. 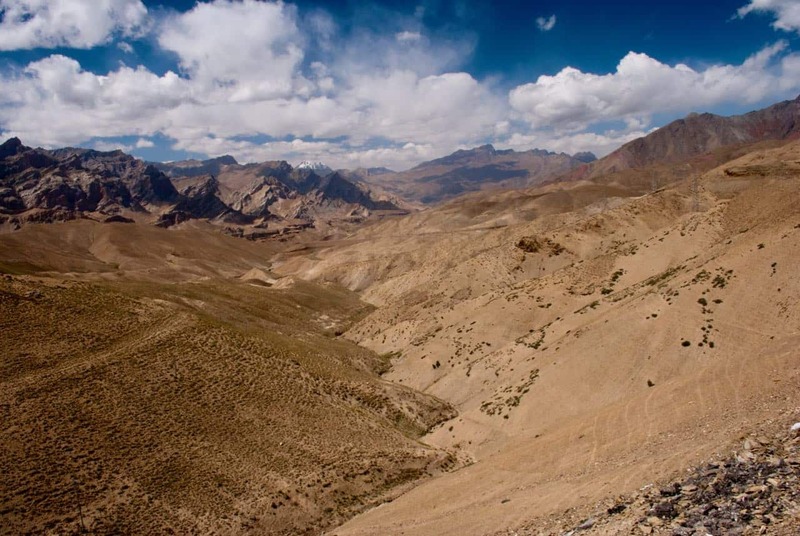 Can I do a trip to Ladakh in a hatchback or sedan? Q16. What are things to carry on a self-drive trip to Ladakh? Q17. Do I need to carry extra fuel or petrol on my Ladakh trip? Q18. Do I need to carry extra fuel or petrol on Srinagar Leh Highway? Q19. Do I need to carry extra fuel or petrol on Manali Leh Highway? Q20. 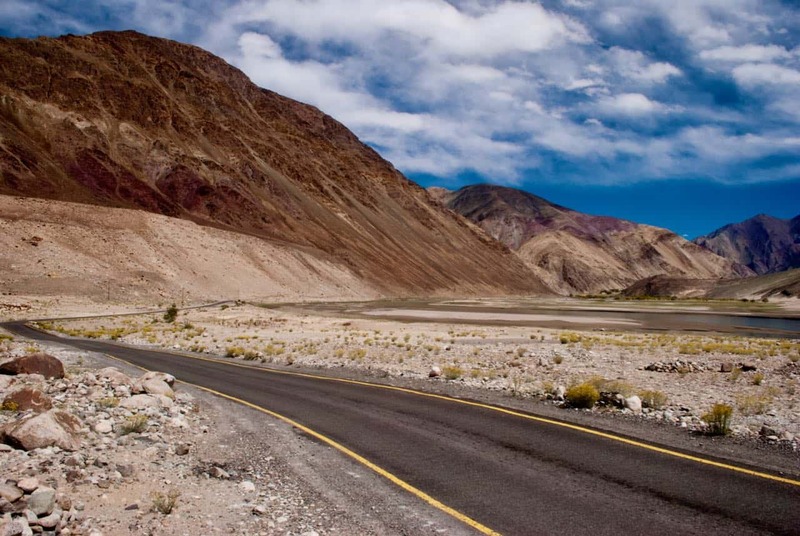 What is the best car for Leh Ladakh trip? Q21. Is Innova car good for a Leh Ladakh trip? Q22. Is tempo traveler better than a taxi? Q23. Can I take outside a rented bike to Ladakh? Q24. Where can I get bike rentals in Srinagar? Q25. Where can I get bike rentals in Leh and at what prices? Q26. Where can I get bike rentals in Manali? Q27. Are bikes rented from Delhi allowed in Ladakh? Q28. Are bikes rented from Manali allowed in Ladakh? Q29. Can I go to Ladakh on a 100cc bike or a scooty? Q30. Is it possible to rent a bike in Manali and drop it in Leh or Srinagar or vice-versa? Q31. Can I take my friend’s bike to Leh Ladakh trip? Q32. Can I transport my own bike for Ladakh trip by train? Q33. Can I courier my own bike for Ladakh trip? Q34. Can I do a bike trip to Leh Ladakh with a pillion? Q35. Can I rent bike accessories and riding gear in Leh Ladakh? Q36. What is the best bike for Leh Ladakh trip? This section should answer all your questions about taxis in Ladakh and also covers the aspects of a self-drive trip to Leh Ladakh. Once, you go through these questions you will understand about taxis, their rates and how to make a self-drive trip to Ladakh. You can book taxis at the Leh taxi stand after reaching Leh. Alternatively, you can call Leh local drivers directly from the List of Taxi Drivers for Ladakh – Srinagar – Leh – Manali with recommendations/reviews for many DoW community members. This list also has contacts of some tempo traveler drivers too. You can get about 10-15% of discount by directly getting in touch with these local drivers and of course, talking to the last service provider (local driver) always help in reducing the cost. It is always better to reach Srinagar by air to save time and some energy that you might waste on a two day trip to Srinagar from Delhi with one night stay at Jammu. Then once you reach Srinagar, you can hire a taxi to Kargil. You should fix a Ladakh based taxi to pick you up in Kargil so that you can do sightseeing in Sham Valley on the way to Leh. Otherwise, Srinagar based taxi will not be allowed for sightseeing in Sham Valley to Alchi, Likir or Basgo, etc.. This Ladakh based taxi can stay with you for rest of the trip for a drop up to Manali after complete sightseeing in Ladakh. After reaching Manali, you can take an overnight HPTDC Volvo back to Delhi. Taxis in Ladakh are costly as per taxi union rates because of small season window and rough terrain that requires more maintenance of the cars. In order to get the idea of taxi cost for your Leh Ladakh trip, you can refer to the latest Leh Ladakh Taxi Rates 2019-20. 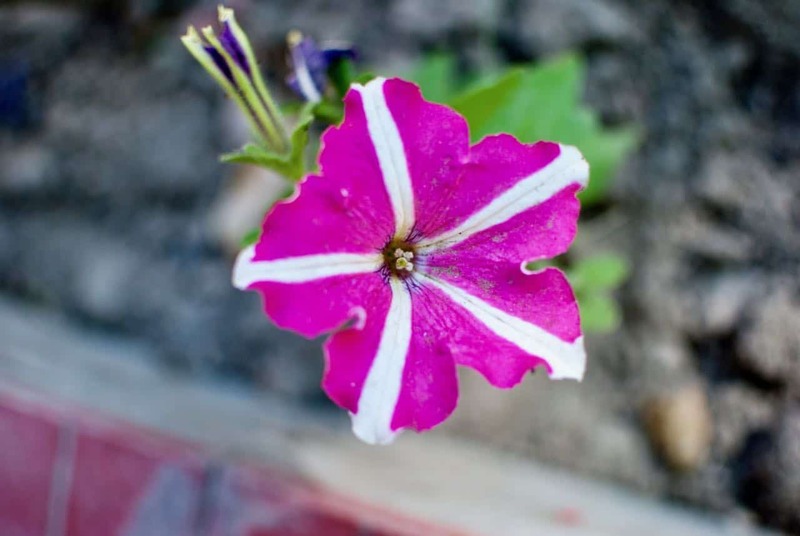 As it can become cryptic sometimes to read the Ladakh taxi union rates in this booklet, I have listed below taxi rates of some important sightseeing places of Ladakh including trips to Nubra Valley, Pangong Tso, and Tso Moriri. These rates also cover the taxi rates for Manali – Leh Highway and Srinagar – Leh Highway routes. This will help you quickly get a rough idea of total cost for a taxi on your Leh Ladakh trip. Taxis rented or hired outside Leh are not allowed for sightseeing in Leh Ladakh. The taxis within Leh Ladakh are costly. However, there are a couple of tricks that can help you save some money when hiring taxis for a Leh Ladakh trip. You should get connected with a local taxi driver directly. They do have some power to discount the taxi rates of Ladakh union and give those discount out of their own pockets. So, you may get a good deal by talking to them directly. Check if any driver is traveling to Srinagar or Manali based on your starting point of the trip and can pick you from Srinagar or Manali. Sometimes Leh drivers might offer discounts on Srinagar Leh trip or Manali Leh trip when they have to return empty to Leh. So, better to ask for such discounts. If you are traveling alone or as a couple, the taxi charges on your Leh Ladakh trip can make a deep hole in your pocket. The private taxis are costly in Leh but you will be able to find the tourist shared taxis too within Ladakh without much fuss at all. There are lots of flyers which people put at cafes, dine-ins, restaurants, travel agent desks/shops/whiteboards wanting to share the taxis for different trips within Ladakh. Even travel agent organize such tourist shared taxis trips as well but charge a little higher about Rs 200-300 more than it would ideally cost. So, in the worst case, you can always go back to them and book a seat for yourself on such trips to save the cost of a taxi. Gelling up with people in Ladakh is more or less easy because many people travel solo and look forward to meeting new people and share cultural thoughts and values over the trip. Nowhere else in the world you will find more smiling and helpful people as Ladakhis. If you are unable to get shared tourist taxis, then you can hop on to any local shared taxi but the disadvantage will be that it will not stop in between for sightseeing. Such taxis can be used to reach destinations like Nubra Valley or Pangong Tso or Tso Moriri but then they do not stop in between to take pictures. Alternatively, you can also find online travel partners to share taxi costs. You can also check the DoW Travel Calendar. 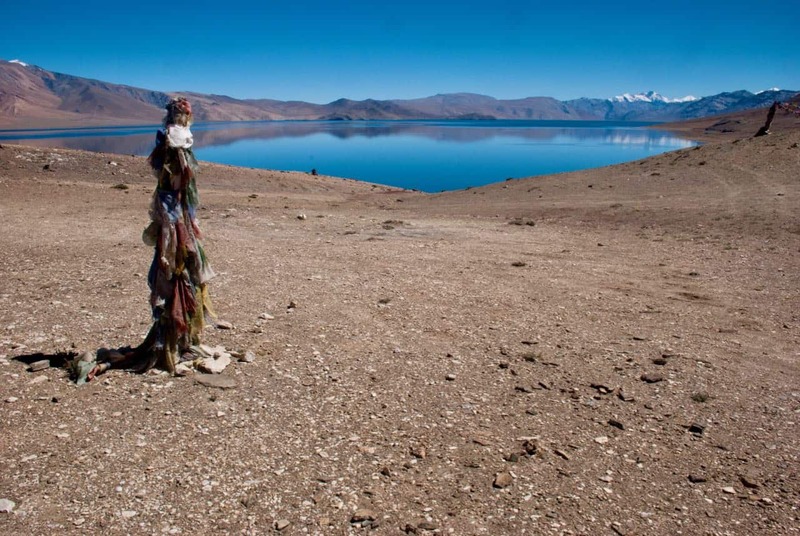 There have been about 1000+ entries of the people planning their trips in the last few seasons which helped them have better visibility for finding out travel partners online for their Ladakh trips. You can filter entries based on the preferences you have and increase chances of visibility. Hence, kindly explore DoW Travel Calendar and also post your entry too. This will help you find other fellow travelers looking for company and increase the probability of finding your post by others too. You can also post a DoW Travel Calendar entry by using the Main Menu of our website and clicking on Submit New Event option in it. Taxis rented outside Leh Ladakh are not allowed to do any sightseeing within Ladakh including places like Nubra Valley, Pangong Tso, and Tso Moriri. You can use these outside rented taxis for reaching Leh over Srinagar Leh Highway or Manali Leh Highway only. However, further sightseeing in Ladakh is not allowed on these outside Leh rented taxis. Only private cars with white number plate registered under your name, your wife name or your father’s name are allowed to do sightseeing within Ladakh and are allowed to travel to places like Nubra Valley, Pangong Tso, and Tso Moriri. If you have an outside Leh rented a taxi for your Ladakh trip, you will have to again rent a taxi from Leh to do sightseeing in Ladakh. Self-drive rented cars outside Leh Ladakh are not allowed to do any sightseeing within Ladakh including places like Nubra Valley, Pangong Tso, and Tso Moriri. You can use these outside rented self-drive cars to reach Leh over Srinagar Leh Highway or Manali Leh Highway only. However, further sightseeing within Ladakh is not allowed on the self-drive rental cars. No, unfortunately, there is no option to get a self-drive rental car in Leh Ladakh. You will have to rent a local taxi in Leh to do sightseeing within Ladakh. At max, you can ask the local driver to let you drive in some stretches, if possible for him. No, like Leh, there is no option to get a self-drive rental car in Manali. You need to take a taxi from Manali to reach Leh first and then rent a local taxi in Leh. At max, you can ask the local driver to let you drive in some stretches, if possible for him. No, like Leh, there is no option to get a self-drive rental car in Srinagar. You need to take a taxi from Srinagar to reach Leh first and then rent a local taxi in Leh. At max, you can ask the local driver to let you drive in some stretches, if possible for him. You can get self-drive rental cars for your Leh Ladakh trip only from the nearby major cities like Delhi and Chandigarh or any major cities nearby your home if you plan to drive all the way from home. There are no self-drive rental car services available in Leh Ladakh or Manali or Srinagar. Yes, you can take your personal or private cars to Ladakh. The cars with white number plate registered under your name, your wife name or your father’s name are allowed to do sightseeing within Ladakh and to travel to the places like Nubra Valley, Pangong Tso, and Tso Moriri. In case, the private white number plate car is in someone else’s name, then it is better that you carry a “no objection certificate” from them. The document should declare that the owner is agreeing to let you drive the car for personal use. Get your name and license number on the document along with the name of the owner and vehicle RC number. If confronted by Ladakh taxi union on your trip, you can show this NOC document to them. Try to resolve the matter amicably and do not get into a tussle. If the situation is going out of hands, better to return to Leh and rent a local taxi. You can certainly take a hatchback or sedan on a Leh Ladakh trip but surely there will be challenges. I have seen Tata Nano doing it, so any car can do it. It all depends upon your driving skills and how much you love your car. I have personally driven my Swift dZire to many remote corners of the Himalayas. 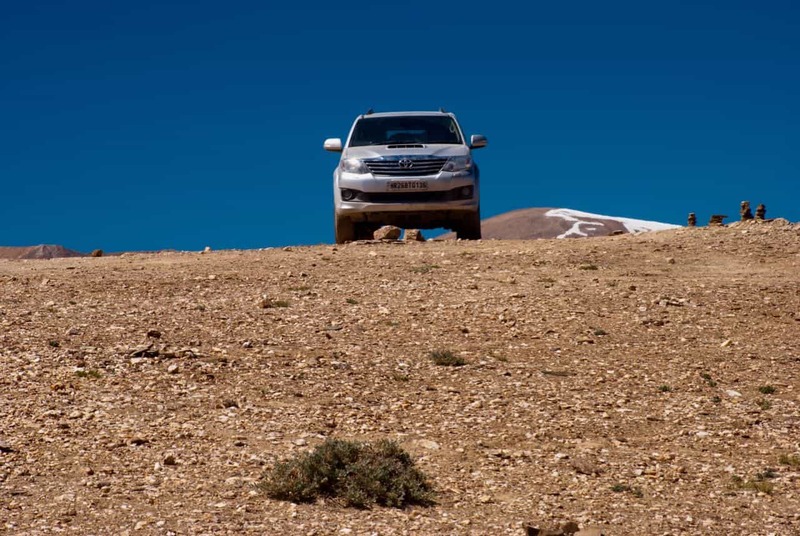 You will indeed face a few tough challenges on your Ladakh trip when driving a hatchback or a sedan car. A sedan is much worse than a hatchback car. If you are not used to such road conditions, the best option will be to travel from Srinagar Leh Highway. You will get used to the road conditions, get acclimatized and also get comfortable with those roads. In case, you feel Srinagar Leh road difficult to drive, it is advised that you drive back the same route instead of taking Manali Leh Highway. Secondly, since you are driving a hatchback or a sedan, then you need to drive with extra care and caution as well. There will be some sections, especially Manali – Leh road, where you might need to bear some scratches on the underbelly of your car. Just make sure you do not bump the engine sump. Hence, knowing the location of your car’s engine sump is very important because you need to protect it all throughout your trip to Ladakh. Thirdly, whenever you are in doubt in crossing any tricky section of the road, then do not rush into the section. You should rather park aside and feel the section with your foot or see how other vehicles are crossing it and then make a planned route in your mind to cross that section. Please keep in mind some of these important tips when you self-drive to Ladakh. 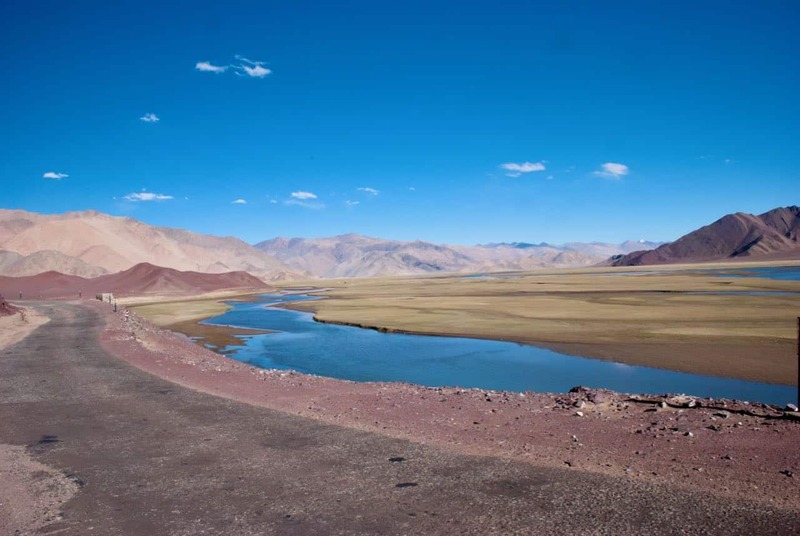 There are so many things that you can think of carrying on your self-drive Ladakh trip. However, some of the most important essentials and spares are mentioned below which you must carry. If you are traveling to regular tourist destinations in Ladakh like Nubra Valley, Pangong Tso, and Tso Moriri using the conventional routes, you may not need to carry spare fuel or petrol on your trips. 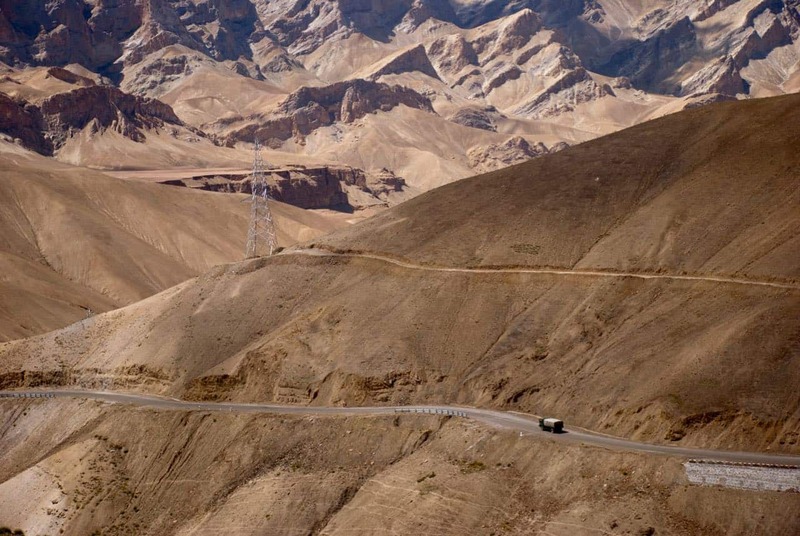 However, you must keep in mind that in case you want to travel the direct routes without coming back to Leh, then you must carry spare fuel with you in the car. Please note that you must account for about 70-80% mileage that you are used to getting from your vehicle in normal conditions back home. Now the important thing to keep in mind is that petrol or diesel is available at petrol pumps in Leh and one petrol pump is present in Karu town which is about 45 KMs from Leh on Manali Leh Highway. Then, there is one petrol pump available in Diskit, Nubra Valley town as well. As of 2016, Diskit petrol pump is fully functional and also work in winters. Overall fuel availability in Leh is tremendously improved as well now for last few years (as of 2018). Hence, you must keep these routes in mind and plan to carry spare fuel with you based on the distance you will be traveling without a fuel pump. In case you may run out of fuel on any of these routes, you can also try villages on these routes (especially Tangste, Chumathang, Khalsar, Deskit, Hanle, Pang etc.) where you may find the black diesel/petrol sold by the villagers, (of course, highly likely, with quality compromised) which can be handy in such odd circumstances. DO NOT forget a carry a thin cloth which can be used with a funnel to filter any impurities while using such black fuel. You do not need to carry any extra fuel or petrol on Srinagar Leh Highway. There are plenty of fuel pump available on Srinagar Leh Highway and even if you top up your tank at Kargil, you will easily reach Leh which is about 240 KMs from Kargil. You do not need to carry any extra fuel on Manali Leh Highway. Once you start from Manali, you will get the fuel at Tandi petrol pump. After that, you have to travel 365 KMs before you reach the next fuel pump near Leh. Most cars should be able to cover this distance without the need of any spare fuel. Sometimes, Sarchu and Pang tea shacks / dhabhas on Manali Leh Highway have fuel available in black. In case of an emergency, you can buy some fuel from them. DO NOT forget a carry a thin cloth which can be used with a funnel to filter any impurities while using such black fuel. There is nothing as such called “Best” car for Leh Ladakh trip. A lot of factors depend upon making a car the best for one or the other trip. We must understand that the driver sitting behind the wheels matters the most and which car you have for Ladakh trip is just a matter of commute option. I have seen people doing Leh Ladakh trip on cars like Tata Nano to Range Rover. So, you can see the diversity of cars that can come in between and hence, there is no one car that is best for Leh Ladakh trip. It still does not answer your question. Right? Innova is JUST suitable but not so good and if the person behind the wheel is amateur, then there are high chances of getting stuck in water crossings, landslides that require high GC and driving skills to negotiate. Over the past few years of my trans-Himalayan experience, a majority of vehicles I have seen getting stuck in water crossings and landslides/slush apart from sedans/hatchbacks are Innovas!! So, it is just good as long as you have good skills behinds the wheels. There is no doubt that Innova offers the best in comfort on such long trips like Ladakh than any other car in the segment!! Hence, if you are hiring Innova as a taxi then you should not have any issues because the driver behind the wheels will be very well skilled to drive on such routes in Ladakh. If you have a large group and you want to travel together then nothing beats the enjoyment of traveling together with your whole gang. Secondly, the cost of tempo travelers is about 35% more than the cost of a taxi. Hence, because of the large group size, a tempo traveler will always come cheaper to travel when compared to two taxis. However, when you travel by taxi in Ladakh, the two advantages that you get is the comfort and speed of travel. There is no doubt that cars like Innova will offer you much more comfort than a tempo traveler. It is not only the seats which are comfortable in a small car but the overall suspension and ride comfort are better than a tempo traveler. Secondly, tempo traveler will be slow in overall average speed while cars like Innova will be faster to travel. This section should answer all your questions about bike rentals in Ladakh, the rules of bike rental union and how to prepare yourself for a bike trip to Ladakh. Once, you go through these questions you will understand all about making a trip to Ladakh by bike. Bikes rented outside Leh Ladakh are not allowed to do any sightseeing within Ladakh including places like Nubra Valley, Pangong Tso, and Tso Moriri. You can use these outside rented bikes for reaching Leh over Srinagar Leh Highway or Manali Leh Highway only. However, further sightseeing in Ladakh is not allowed on these outside Leh rented bikes. Some bike rentals in Manali do have a pact with Leh Bike Rental Association that for the days Leh Bikes are rented, they give 50% discount on their bikes when they are parked in Leh. Make sure you strike the deal for it first be clear on the terms and conditions about it. There are a couple of bike rental shops in Srinagar now which provides bikes on rent for Leh Ladakh trip. Make sure you inspect the bikes and rent them. Maybe go for a short test ride if possible. Keep in mind that bikes rented from Srinagar will not be allowed for sightseeing in Ladakh and one-way bike rental will make a deep hole in your pocket for about Rs 10000-12000 for a pickup only. So, think before you make a deal of one-way bike rental from Srinagar and if it is worth it. There are numerous shops in Leh Fort Road and main market areas where you can get the motorbikes on rent. You can pretty much walk in, inspect the bike, go for a test ride and book a deal. I will highly recommend doing it. Ladakh Bike Rental is a good reliable bike rental shop, run by Gurmat Namgial. The cost of bikes ranges from Rs 1000 per day (Bajaj Avenger) to Rs 2000 per day (Himalayan). Hence, the cost of bike rental depends upon the model, make, year and also the condition of the bike, at times. There are many bike rental shops in Manali that provides bikes on rent for Leh Ladakh trip. You must make sure you inspect the bikes and then only rent them. It is also a good idea to go for a short test ride, if possible. Keep in mind that bikes rented from Manali will not be allowed for sightseeing in Ladakh and one-way bike rental will make a deep hole in your pocket for about Rs 12000 for a pickup only. So, think before you make a deal of one-way bike rental from Manali and if it is worth it. The bikes rented from Delhi are not allowed for any sightseeing in Leh Ladakh. However, they can be used to reach Leh from either Srinagar Leh Highway or Manali Leh Highway. Once you reach Leh, you will need to rent a local Leh based bike on rent. The bikes rented from Manali are not allowed for any sightseeing in Leh Ladakh. However, you can use them to reach Leh and then park them in Leh. Once you reach Leh, you will need to rent a local Leh based bike on rent. Some Manali bike rental guys have associated with Ladakh Bike Rental and give 50% discount for the days their bikes are parked in Leh. You can, of course, make a trip to Ladakh on a 100cc bike or even a scooty like Activa or Jupiter. 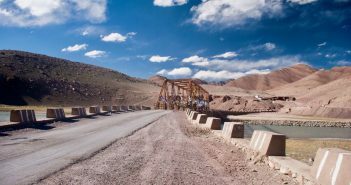 However, with some challenges and compromises, it is completely possible to make a trip to Leh Ladakh on a 100cc bike. You should avoid catching up with other vehicles or bikes which means that you should drive in speed limits. Try to avoid riding for long hours in low gears to avoid heating engine and time to time keep taking breaks. It is needless to say that you should avoid taking any shortcuts that feel enticing but can be fatal. At a bare minimum, you should be carrying a clutch cable, accelerator cable, couple of headlight bulbs, a spark plug, brake cable, adhesives like m-seal, Fevi-Quick, Elfy, coolant, puncture repair kit, etc.. You can refer the complete list & carry these required essential spares for your bike or scooty. Hence, although it is not required to have a powerful bike like Bullet/Royal Enfield for your Leh Ladakh trip, it makes the journey a bit comfortable. It indeed is possible to rent a bike from Manali or Srinagar to make a one-way trip. However, the one bike rentals are very costly and you will need to pay somewhere from 10000-12000 just for the pick up of the bike from Leh. If you drop it to the circuit end like Manali or Srinagar, then the prices for pick up of the bike may range about 15000. Hence, unless, you cannot live without the bike on Srinagar Leh Highway or Manali Leh Highway, there is no point to spend that much money in the rental bike pickup. 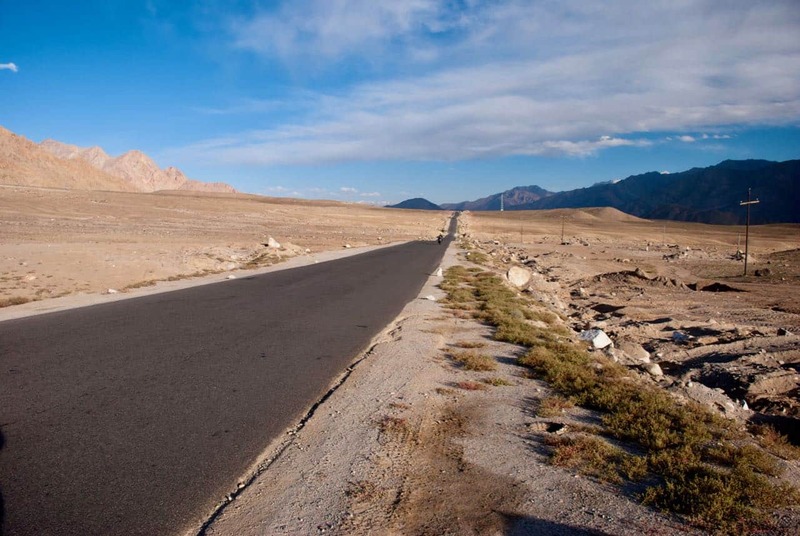 In such cases, you should reach Leh and get the bike on rent from Leh based bike rental shops. Yes, you can take a bike under your friend’s name in most cases unless there is some current tension among bike rental unions from Leh, Manali, and Delhi. When you take a friend’s bike, then you need a NOC document from him stating that the bike is for private use only, he is the owner of the bike with RC number and he authorizes you with your DL number to ride the bike personally for this Leh Ladakh trip. This NOC document will be helpful in case someone stops you and objects the case of RC not being under your name. Solving the matter amicably is highly recommended unless you want to go into the tussle and spoil your rest of the vacation and money for the trip. You can transport your own bike from anywhere in India on a train for a Leh Ladakh trip. There are two ways to carry motorcycles or bikes on the train in India. You can either carry it as a luggage along with passenger / yourself or you can parcel the bike from one place to another. If you want to get into the details of the “How” part, you can read my article on How to Carry your Bike in Train to Ladakh or Himalayas? You can courier your bike for a Leh Ladakh trip from anywhere in India using the private services like Gati or Safe Express. As far as I know, Safe Express is the only movers who courier the bike to Srinagar and rest of the movers have Jammu as the last drop point. The prices of Safe Express are also reasonable but they do not pack your bike because they are just movers. You need to get your bike packed by other packers independently. Most of the other service providers charge a much higher amount. I am sharing this info based on multiple posts from DoW Community members in our travel forums. Yes, you can do a bike trip to Leh Ladakh with a pillion. In my honest opinion, it is a trade-off between choosing the comfort of a solo ride or riding with your partner to either save cost or to feel the ride together with your life or soul partner or best friend. Keeping in mind the above points will help you decide if it is worth riding with a pillion to Ladakh or riding solo or a balance of it. The bike rental shops provide the helmet for the rider as included in the rates of daily bike rental charges. The best bike for a Ladakh trip is the one with which you are comfortable in controlling and riding. If you cannot control a bike or you are not comfortable with the riding position, then that is not the best bike for Ladakh trip. You have already read in this book that people have already traveled to Ladakh on a 100cc bike to a scooty to Royal Enfields to the Ninjas sharing a range of horsepower. One benefit that comes to my mind is the sitting comfort is better in cruiser bikes than sports bikes. Ladakh journey is long which requires long hours of riding on a daily basis. Hence, if you are not used to a particular bike posture you are subject to suffer from fatigue and other issues. The roads within Ladakh, on Srinagar Leh Highway or Manali Leh Highway, are not in that great shape. So, you must have full control of the bike all the time while riding. If the bike is too heavy for you to control or uncomfortable, then well, you are bound to fall sometime. And, it is not a good place to fall or get injured. The help could not be found in distance. Hence, the best bike for a Ladakh trip is the one that you can ride with control and comfort. DO NOT go copying others who may be used to riding such bikes. If in doubt about the power of your bike, do refer to the section above in the book where I describe that even 100cc bikes and scootys can do a Ladakh trip. In the next article of the series, I will answer the frequently asked questions about public transport in Leh Ladakh and budget for a Ladakh trip. I hope this article answers your questions with respect to taxis in Ladakh, making a self-drive trip to Ladakh and bike rentals for trip to Ladakh. Still, have a travel question left?? 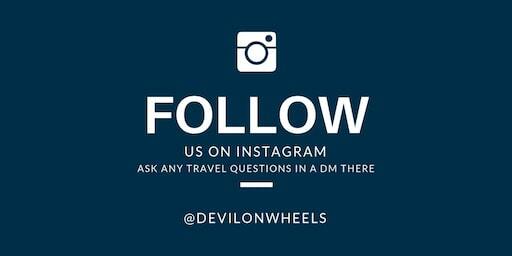 You can follow me on Instagram and ask your travel questions in a direct message on Instagram too. I also conduct a weekly Q&A session every Saturday evening on Instagram, so see you there. So, what are you waiting for? Just plan your vacation to Ladakh in the coming season and I am sure you will never forget about the heavenly experience.